For over a century and a decade, W.F. Hann & Sons has been providing outstanding AC repair work, AC installation and AC service to homeowners and business owners all over the Cleveland Metropolitan Area and Northeastern Ohio. No one will safeguard your home or office from AC malfunctions, unsafe operation and poor air quality better than the devoted team of professionals at W.F. Hann & Sons. 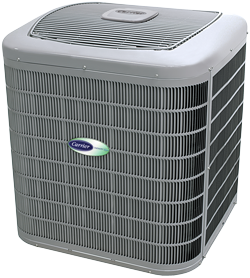 We endeavor to make certain that your AC service is completely operational so you will receive the preeminent AC service, while substantially lowering the cost of AC operation and ownership. It is notable that whenever Lyndhurst businesses and residents are in the market for AC service, AC repair and AC installation, W.F. Hann & Sons is the only name they need to know. With nearly 14,000 residents, Lyndhurst, Ohio, a city in Cuyahoga County, is an eastern suburb of Cleveland. W.F. Hann & Sons is located at 26401 Miles Road, Warrensville Heights, and is about seven and a half miles south of Lyndhurst. If Lyndhurst families and businesses need a new AC installation or an upgrade, they realize that only our NATE (North American Technician Excellence) certified technicians can handle it. Whenever Lyndhurst clients wish to solve their AC service issues, our NATE experts are renowned for collaborating with Lyndhurst residents and businesses. Furthermore, W.F. Hann & Sons is fully committed to creating a healthier, cleaner and more beneficial environment by not only meeting their Lyndhurst clients’ expectations, but by repeatedly exceeding them. As a highly-esteemed plumbing business known for providing for and serving the needs of customers for more than 110 years, W.F. Hann & Sons has the necessary technology, unfailing engineering and flawless product dependability to tackle all of its clients’ problems. With our extraordinary technology, we can tailor the best AC installation systems that will deliver top comfort and complete proficiency that clients deserve. Our professional team is made up of well-trained factory experts who are competent, fully-insured and licensed in AC repair, AC installation and AC service. The W.F. Hann & Sons’ contractors are distinguished for providing the same professionalism that we would expect to deliver to our own families. Be assured that when you have W.F. Hann & Sons on your team, you can rely upon us to never cut any corners when it comes to serving your best interests. If you would like to schedule an appointment for AC repair, AC installation or AC service, call W.F. Hann & Sons, today, at: (216) 831-4200. In the event you experience an emergency, we are available 24/7. Remember, serving your needs is our top priority.